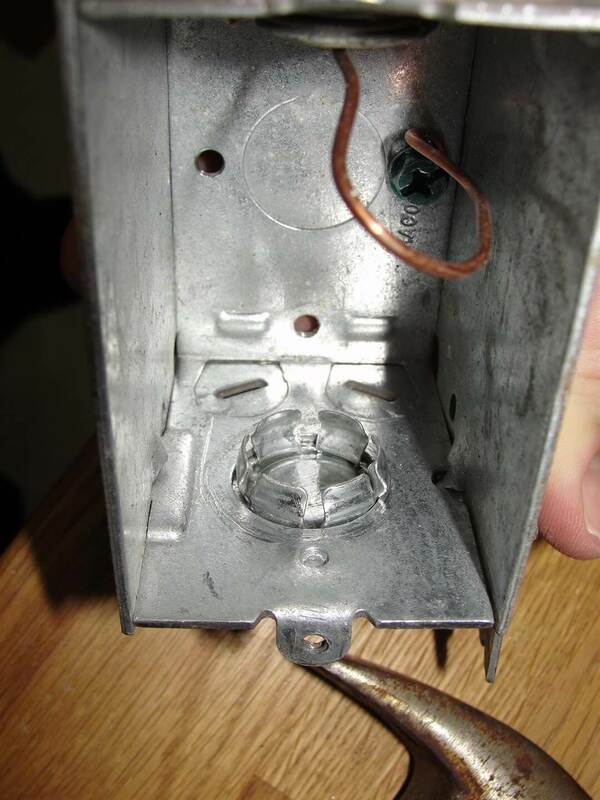 One of the most common Truth-in-Housing repair items is an unfilled opening in an electrical box or panelboard. If you walk through the garage or basement of just about any old Minneapolis or Saint Paul home, you'll probably be able a few of these. 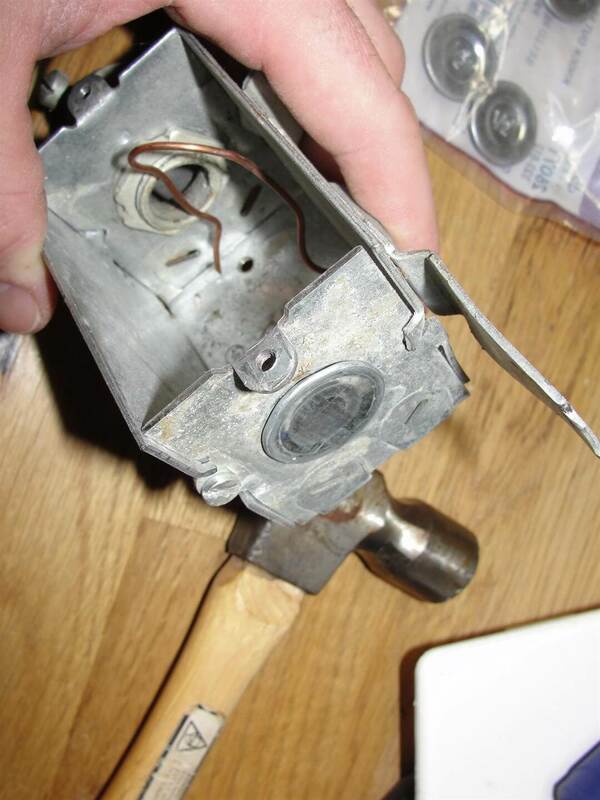 First, determine the size of the missing knockout hole and subtract 3/8" to figure out what size knockout plug you'll need. For example, if you have a 7/8" hole, you'll need a 1/2" knockout plug. Next, go buy some knockout plugs. They're sold in small quantities at hardware stores and home improvement stores for about a quarter each. Next, kill the power to any circuits going through the box you're working on. As GI Joe always thought to himself, "being safe is the other half." Finally, put the plug in the hole. If you bought the right size, it will be nearly impossible to push the plug in to place with just your hands - you'll need to tap the plug in to place using a hammer. 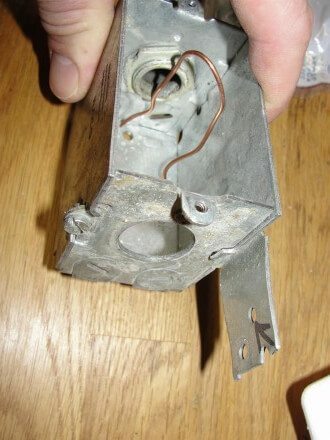 If you want to make the plug super tight and impossible to remove, you could bend the tabs inside the box with a screwdriver. I'm sure some electricians would say this should always be done. The photo below left shows the tabs in their normal position, and the photo below right shows the tabs bent out. 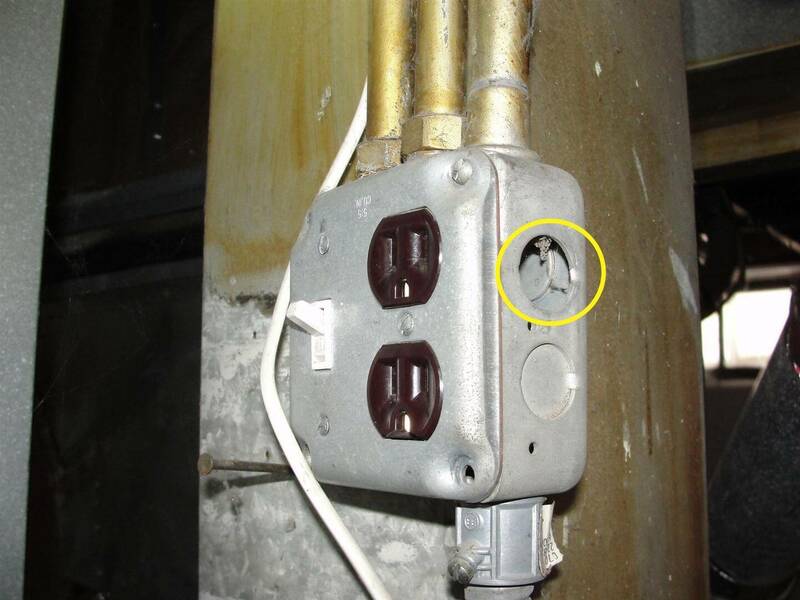 For Truth-in-Housing evaluations, missing knockout plugs are required repair items in Bloomington, Hopkins, Robbinsdale, and South Saint Paul. They're considered a hazard (H) in Saint Paul, and they're a suggested correction (SC) in Minneapolis. 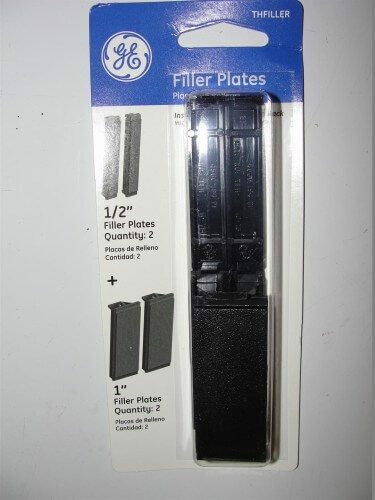 Next, go buy some filler plates at a home improvement store or hardware store. You'll find them next to the circuit breakers. Finally, shut off the power to the panel and pop the appropriate filler in to place. This can typically be done without even removing the cover. 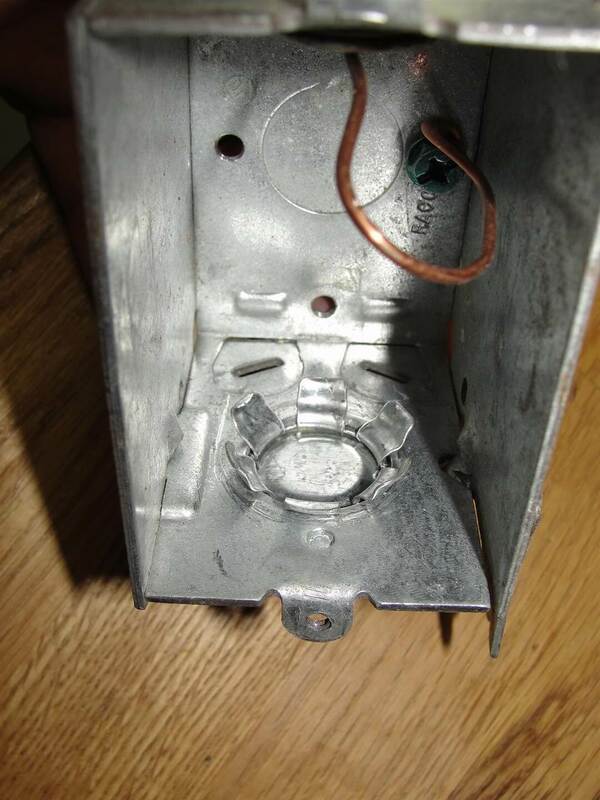 For Truth-in-Housing evaluations, openings in the front of an electric panel are required repair items in Minneapolis, Bloomington, Hopkins, Robbinsdale, and South Saint Paul. They're considered a hazard in Saint Paul. Reuben, That is great information, and a very easy and necessary fix. 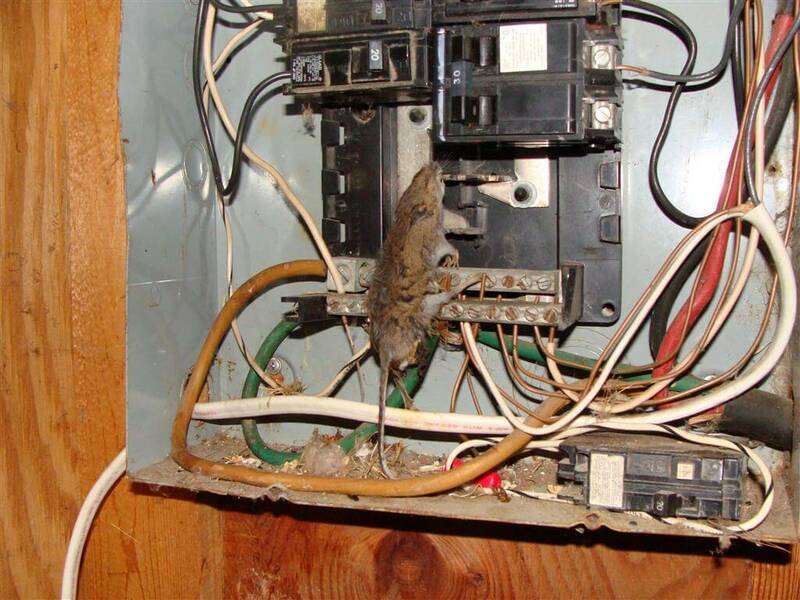 By the way, it that a real photo with the mouse in the electrical box (or a staged photo)? Good morning, Reuben.... good information for everyone.... I enjoyed your post except for the creature!! Did you remove the pet and give it the proper burial? Have a good day and a very good post. Suggested. We use them a lot, Rueben. In a pinch, we'll stick a plactic box connection in a hole. 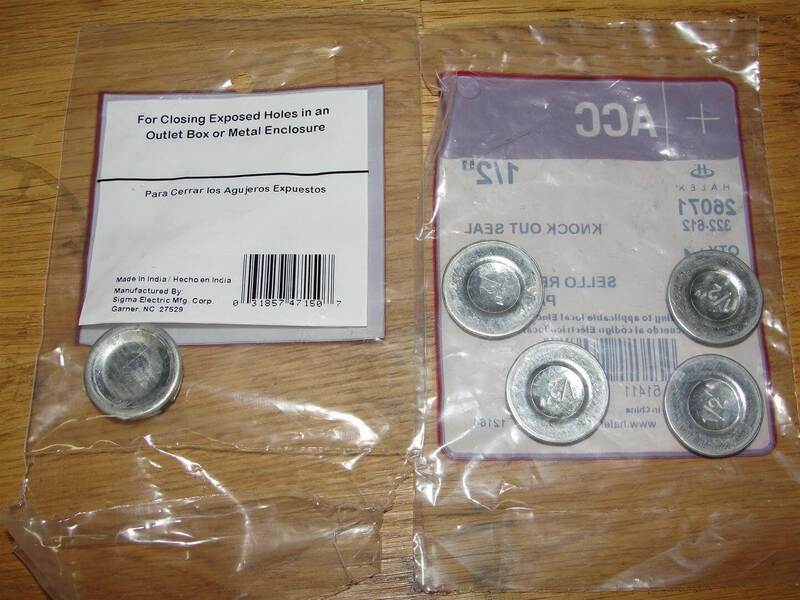 I've even taken two washers with a 1/4-20 X 1/2" machine screw to plug up a hole. The key is to plug it up. I bet that mouse was surprised at what he found. Yeow! Thanks, information like this is always handy in the business. Great post but I will let an electrican do this for me. Thanks for this information. I won't be doing the work myself. I like knowing what to watch out for. Great post! Rob - that's definitely a real photo of the mouse. Clint - no way :). We left the panel exactly the way we found it. Mike - the washer solution sounds just as good as anything. Laura - there's certainly nothing wrong with letting an electrician handle this. Praful - what you're seeing in the third picture is probably one of the most common problems caused by a missing knockout hole. Hammer, schmammer. Why go to all that trouble when there is chewing gum right in your mouth!? Remember the KISS principle, - Keep It Sweet and Simple! And chewing gum is sweeet. And to think I had to say this. Sheesh. Reuben, these are very good suggestions for everyone, whether or not it is required by code. I would think it would be required for reasons you pointed out. 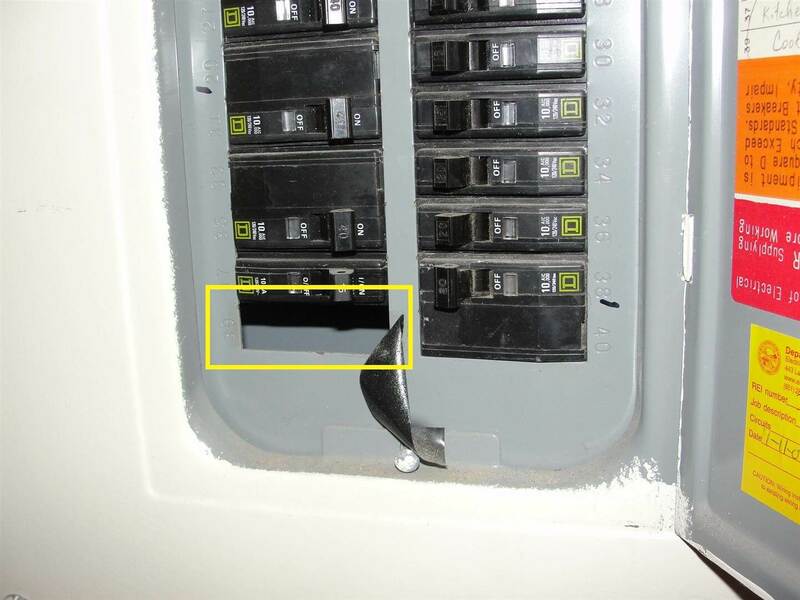 People think it's just a cosmetic thing...until they see the photo of that mouse in the panel box. I bet that smelled bad when it happened! Reuben...Agaijn it is the do it yourselfer that just has no idea and or hates to part with a buck to do it right. Over half the inspections I do have his condition. I've considered bringing a selection of the most common with me on inspections. It wouldn't cost more than $ 20.00. Jay - don't forget duct tape. You can fix anything with that. Michael - and it's so simple. Robert - I've thought about doing the same thing. I need to pick up some of those 1/2" knockouts in bulk.